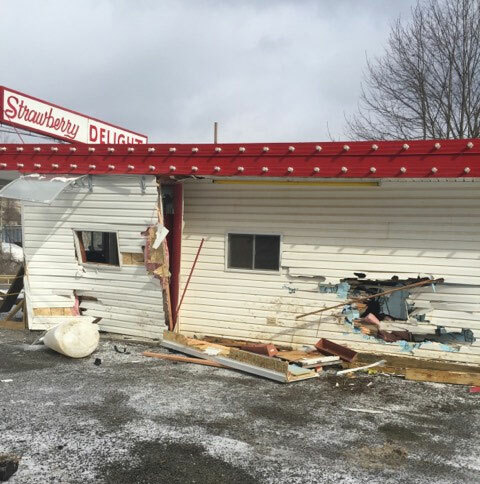 OIL CITY, Pa. (EYT) – A pickup truck crashed into Strawberry Delight late Wednesday morning causing major damage to the popular Oil City ice cream stand. Owner Cindy Baughman told exploreVenango.com that the accident happened around 11:30 a.m.
Baughman said the building, located near the intersection of Routes 62 and 157, sustained major damage both inside and outside the structure. According to Baughman, the driver of a GMC pickup truck lost control of the vehicle on the slippery roadway and crashed into the building. 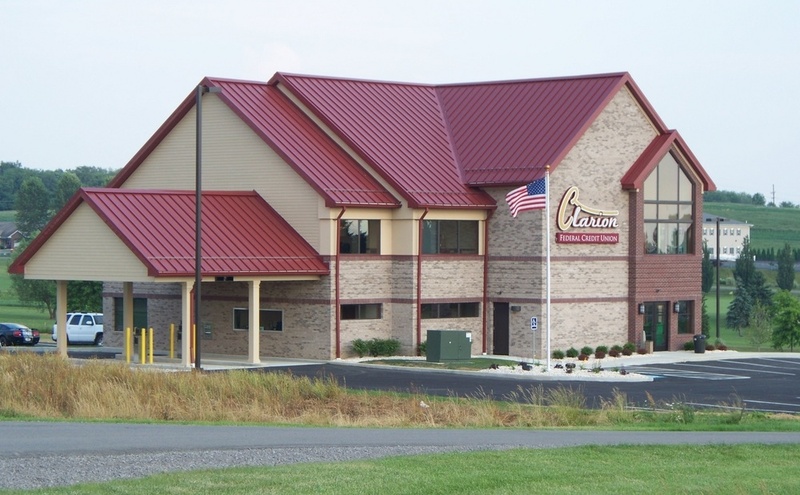 Baughman said the building is insured, and she’s hopeful that the repairs will not delay the business’ regular opening date in the spring. The truck was towed from the scene by Minich’s Towing. Franklin-based State Police and Seneca Volunteer Fire Department also responded to the scene. State Police are expected to release additional information on the accident within 48 hours.